This summer our pastor spoke quite a bit about building community and being proactive in our lives beyond church. I’ll admit, I often find myself overwhelmed with my day to day duties as a mom and the idea of “building” and being “proactive” sounds like too big of a commitment for my schedule. Just the same, I was convinced that I needed to do something outside of my normal routine. So, I picked something small. Something I started calling Pancake Club. It was mostly inspired by the recipe I’m about to share and my love for breakfast :) When I was pregnant with Max, I fell in love with pancakes. I fixed them almost every morning and tried countless recipes. Before him, I preferred French toast, but something about Max made me love pancakes big time. To this day, he and I are both pancake lovers! Anyways, Pancake Club. This non-club club has one purpose – to bring moms together, just as they are. We meet once a month or so, feed our kids together, laugh, and visit about life. Because community is important. And so is breakfast. Pancake Club is pretty much a casual play date where pajamas, yoga pants, and no make-up is encouraged. It’s a come as you are gathering and such a fun break from the hum drum of normal motherhood. We’re three months strong into Pancake Club and mamas keep showing up — we’ve had as many as 12 moms and 20+ kids in my little living room! — so I’m guessing my pancakes are decent and we’re all benefiting from the community of fellow mamas. I love my pancake ladies, even though I cheated and served French toast casserole this last week :) It has been such a blessing to meet new moms (anyone can invite anyone!) and affirm old relationships. There is nothing like pancakes and other breakfast fixings to bring on real life conversations full of ups, downs, dreams, questions, worries, and crazy kiddo stories! 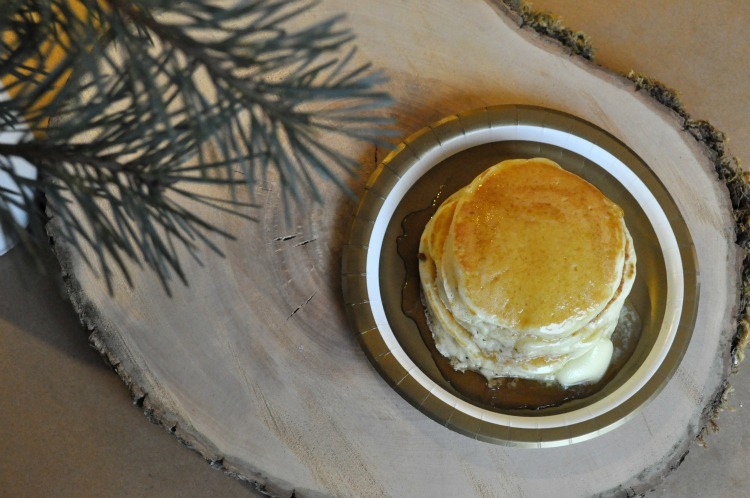 Without further chatter from me, here’s my final pancake recipe after much trial and error! In a large mixing bowl, blend all ingredients. I like to use my KitchenAid mixer so there are no worries about lumps or bumps in the batter. While it mixes, preheat your griddle. Make sure it is buttered or oiled well. In 1/2 cup allotments, dollop batter onto the griddle. 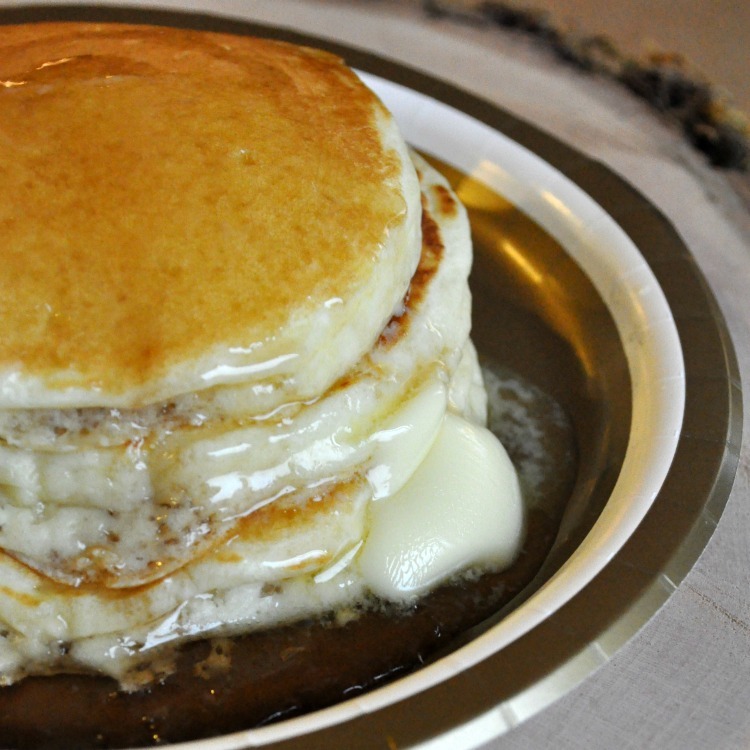 Allow the pancake to cook until the sides round and become puffy and you see lots of bubbles on the top. Then flip and cook for about 1 more minute. The goal is to only flip once. This helps keep them extra fluffy! I’ve used yogurt in pancakes before and it made them really soft but I’ve never tried sour cream before.